We are the leading manufacturer of LDPE Sheet for Construction and our product is made of good quality. Roadway expansion projects must fill a number of requirements to minimise environmental impact. Roadways must be properly and effectively protected for safety and long-term reliability Concrete. Ldpe sheets plays major role in infrastructure sector. 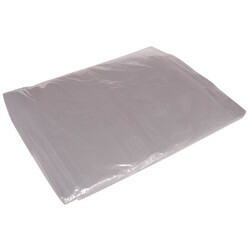 Polythene sheets are used in laying majorly in road, runways, foundation of building,terrace. Roadway expansion projects must fill a number of requirements to minimize environmental impact. Roadways must be properly and effectively protected for safety and long-term reliability Concrete Roads are majorly used to construct highways and also Runway and for the laying LDPE sheets are used. In Water Proofing of Terrace nowadays LDPE sheets are used as to control or reduce the passage of moisture to reduce weed growth. As a layer to prevent substantial movements. To accomplish these takes, membranes should be resistant to moisture and capable of resisting rot and decay. Appreciated for the manufacturing and supplying a wide assortment of Plastic Films, Layflat Tubings, we "Kashyap unitex Corporation" st. 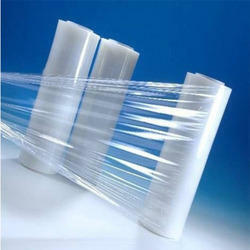 Under our commendable array of products we are offering New Items, Packaging Films and Chub Films. Offered products are manufactured and designed by using high grade material in full accordance with the set industry norms and standards. To satisfy our clients in most trusted manner, we are offering these products as per the details provided our clients. These products are highly demanded and admired by our clients for their rugged construction, flawless finishing and accurate dimensions. To manufacture the offered products, we have established a state of art infrastructure facility at our premise. We have assorted all the upgraded tools and machines at our manufacturing unit. We are fully supported by our highly qualified and experienced professionals. By providing this commendable array of product, we have attained a huge number of clients across the nation. Apart from this, we are offering these products at very affordable prices to our valued customers. Appreciated for the manufacturing and supplying a wide assortment of Plastic Films, Layflat Tubings, we "Kashyap unitex Corporation" st. Under our commendable array of products we are offering New Items, Packaging Films and Chub Films. Offered products are manufactured and designed by using high grade material in full accordance with the set industry norms and standards. To satisfy our clients in most trusted manner, we are offering these products as per the details provided our clients. 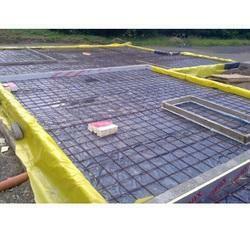 These products are highly demanded and admired by our clients for their rugged construction. 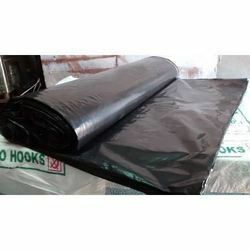 In Water Proofing of Terrace nowadays LDPE sheets are used as to control or reduce the passage of moisture. As a layer to prevent substantial movements. To accomplish these takes, membranes should be resistant to moisture and capable of resisting rot and decay. 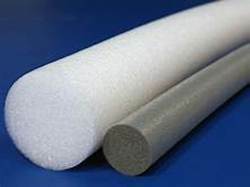 Backer Rod is a closed cell, polymer based product with a circular profile. It ensures stronger bonding of sealant with masonry, aluminium or other substrates & helps to maintain desired thickness of sealant at the joint’s centre. It does not bond with cold applied sealants. It acts as a cost-effective space filler to reduce the consumption of sealants.